If you are currently preparing a property to be sold or let, it is strongly in your interest to check that the roof is sufficiently resilient to withstand the elements. That’s because we can expect the weather to worsen with the approaching winter – and that roof could buckle if it is inadequately maintained. If the roof does give way in this manner, this wouldn’t reflect well on you in the eyes of whoever has just bought or rented the property. What can you do to get that roof winter-ready? Is your property particularly old, with an abundance of visually fascinating period features? If so, that property could attract a lot of interest on the strength of its heritage look. Unfortunately, however, if the roof is flat as well, it probably doesn’t include any insulation, HealthGuidance cautions. In this situation, the building’s residents would essentially have a wafer-thin defence against the elements, while leaks and mould could damage the ceiling – so arrange for insulation to be fitted. You might not have realised that a building’s roofs and walls can “hold” temperature – meaning that, even as you turn down the thermostat, you can expect some of the heat to be long preserved. However, those parts of the building would be hindered in their ability to hold heat if you wait until November or December to switch to a high setting on the thermostat. If you make the structure toastier in October instead, the heat can build up in time for when winter is well and truly here. Perhaps, in recently looking at your roof, you have glimpsed the occasional gap where a tile or shingle should be. However, you might have assumed this not to be a serious problem, leading you to hold off arranging any repairs – especially if tiles or shingles are simply damaged, not missing. However, this kind of nonchalance can cost you dearly, as winter weather could exacerbate existing roofing issues and so ultimately necessitate pricier repairs. Seek services of a roofing professional. 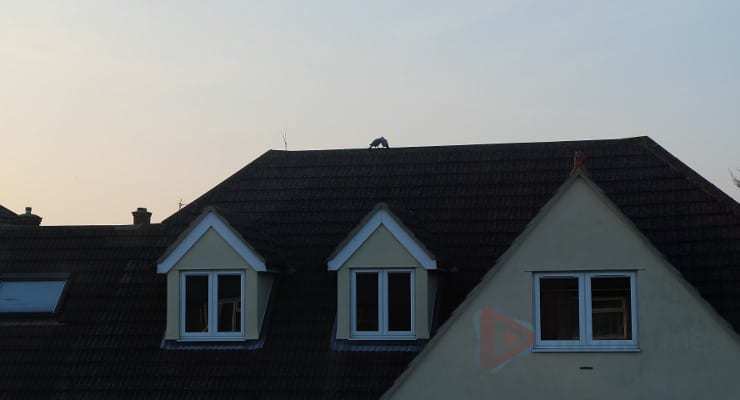 Does this roofing professional have public liability insurance? It would be worth you checking before you choose to hire that professional. That’s because this type of insurance is aimed at helping roofing professionals to pay compensation to clients who, due to an accident by the roofer, are injured or faced with a damaged property. Therefore, any roofer who holds this type of insurance is clearly looking out for your interests – a positive sign! If they lack this cover, they can easily source roofers public liability insurance online. Whether the roof is flat or sloped, gutters can send water away from that roof and so prevent the liquid pooling on the building in large amounts. Water that is left excessively on a roof can evidence itself in the form of mould, so have those gutters cleared out before winter brings even worse rain.